If you don't know, satellite provider DISH dropped AMC last month because of an ongoing lawsuit with the channel's parent company. Now the home of The Walking Dead, Mad Men, and Breaking Bad is asking fans to show their dislike for the move and maybe even win some prizes. All you need do is make a short video about how you'd handle losing AMC if you were (or are) a DISH subscriber and wedge in a mention of your fave AMC show. There are some other choices of topic for your vid as well, but honestly this is the one you could probably have the most fun with. So, I mentioned prizes didn't I? The Grand Prize Winner receives a $4000 cash prize, a Canon® 7D Camera (MSRP $1549), and the opportunity to discuss their work with AMC’s Senior Vice President of Production. 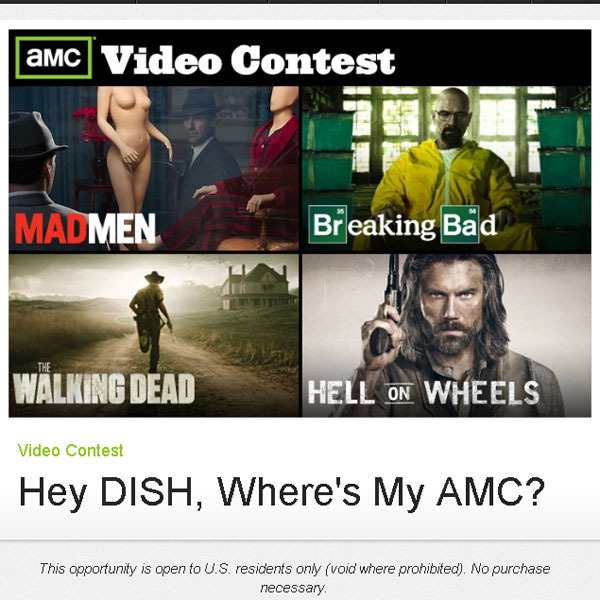 In addition, the winning video will appear across AMC owned social media channels. The contest also features two runner-up categories: “People’s Choice” and “Highest Viewed.” The winners of these categories will each receive a $1000 cash prize plus extras. Not too shabby huh? 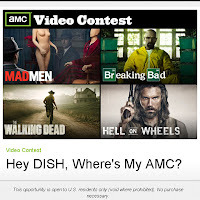 With that kind of prize pack on the block, AMC seems pretty serious about letting DISH know all about its, and its fans, discontent. Find out more (including all the contest's details) and/or join in on the fun here. Oh, and as long as we're talking DISH and AMC, you might want to check out this video that the channel made with a bunch of zombies (a'la The Walking Dead) loose in NYC. It's meant to rally fans behind getting the show back on DISH, but even if you don't particularly care for TWD, it's awesome fun. It looks like lots of folks got a good scare, but I particularly like the people who laugh at the zombies since -y'know- what if they were actually zombies? How many reasons are there to not read The Goon? Chicago Toy and Game Fair honors Guess Who? So what does Google spend its billions on? Gentle Giant has the Cosmic Cube!